A masterpiece of deep learning and fine sensibility, Robert Alter's translation of the Hebrew Bible, now complete, reanimates one of the formative works of our culture. Capturing its brilliantly compact poetry and finely wrought, purposeful prose, Alter renews the Old Testament as a source of literary power and spiritual inspiration. From the family frictions of Genesis and King David's flawed humanity to the serene wisdom of Psalms and Job's incendiary questioning of God's ways, these magnificent works of world literature resonate with a startling immediacy. 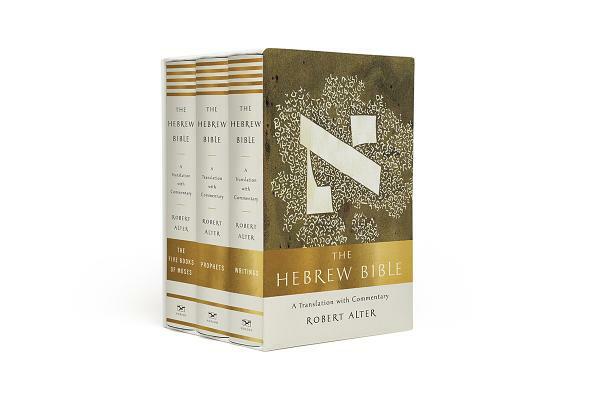 Featuring Alter's generous commentary, which quietly alerts readers to the literary and historical dimensions of the text, this is the definitive edition of the Hebrew Bible.